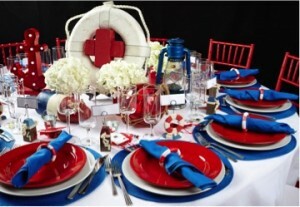 Event Venues That Take Flight! Staging creative and unique events is growing more important to our culture by the day. With social media tools to showcase an impressive canvas, people seem more driven than ever to really put a unique stamp on the event they’re planning. To this end, a common trend we’ve noticed is a focus on alternative venues. Transforming an unconventional space into your next event venue not only invigorates guests, but it can give you the blank slate you need to execute your vision. 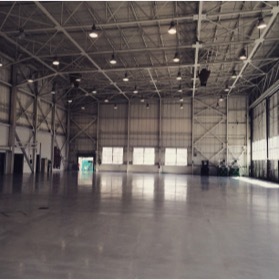 The days of the sterile ballroom seem to be taking a backseat to the barn, garden, and… airplane hangar? Yes you read that right. 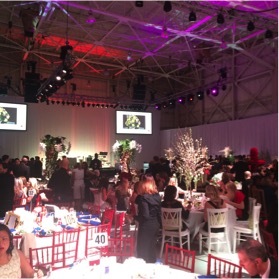 Sequence was recently tasked with transforming a storage facility for planes into a beautiful Gala for the American Red Cross, all while being TSA compliant of course. Alternative venues should be explored and embraced when planning an event. However, it’s important to do your research and know the facts before starting the process. Below are some quick tips to prevent you from breaking the bank or losing your mind! The more alternative the venue, the longer your list of outside vendors will probably be. Working in a loft space you may need to bring in rentals, security and audio-visual. At an airplane hangar you need to consider things like generators, restroom trailers, dumpster rentals and tenting for prep areas. ***TIP*** Try and work with vendors who are familiar with the space. They’ll know the ins and outs, and potentially be able to save you time and money! A thorough budget is important for any event, but it’s even more crucial when working with a non-traditional venue. Make sure you have a full understanding of all requirements from the space -- before signing the contract! ***TIP*** Factor in a contingency line-item into your budget. Start with a higher percentage like (like 10% or 15%) in the beginning, and reduce as planning progresses and you’re feeling more comfortable with costs. Unexpected circumstances are bound to occur, and the contingency will ensure you create a buffer for your bottom line. Unique venues usually come with unique (and lengthy) contracts. Be prepared for a lengthy review, and have a lawyer ready to weigh in on terms as well. ***TIP***Alternative venues are going to have their fair share of restrictions. Make sure you are as clear on these as possible up front. “I want to know everything we’re not allowed to do” is a great place to start! Most importantly—enjoy yourself! Working with non-traditional event spaces can bring some extra work, but also a very gratifying reward. Take pride in knowing that you transformed an unconventional space into a gratifying guest experience, and continued to push the boundaries on an ever-changing industry!